Doom Patrol Episode 9 picks up where the previous episode ended. After Hammerhead dragged Karen back into the Underground of Jane’s mind, Jane refuses to come to the surface, leaving her catatonic. Rita tries talking to Jane, to no avail. Vic scans Jane and says that there is nothing physically wrong with her. Vic wishes that they could somehow shrink down and enter Jane’s head.As Larry starts to put down Vic, the negative spirit emerges from Larry and connects Cliff’s mind to Jane’s, allowing Cliff to enter the Underground. 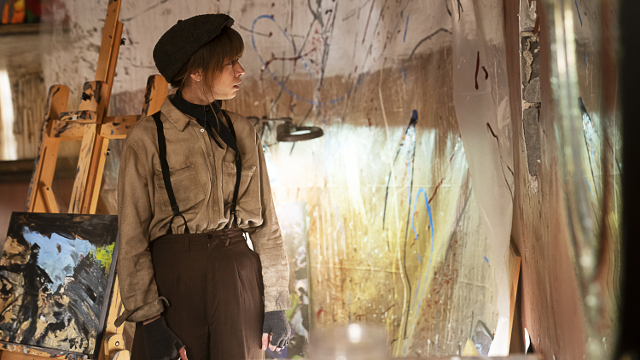 In the Underground, we meet a number of Jane’s personalities, some for the first time. They are upset with Jane for not returning to the surface. Each personality has a job. Jane’s job is to be the primary. The longer Jane remains in the Underground with no one driving, the greater the balance of Jane’s already unstable mind is threatened. The personalities convince Jane to return to the surface via the mental subway that links the Underground to the surface. Aboard the train, Jane confesses to the Driver 8 that she doesn’t want to return to the surface. It’s hard. She doesn’t know who to trust, what to feel, or what her role is anymore. Jane and the Driver pull the emergency brake, disabling the train adn giving Jane time to explore her own mind in search of answers. In her wanderings, Jane comes upon Penny Farthing picnicking beside a lake. Jane is upset because she doesn’t know who the memory of this place belongs to. Penny suggests that Jane return to the surface, but Jane continues searching for answers, with the ghost of her father’s voice haunting her. Jane’s journey takes her to the Three Sisters, a three-headed old woman reading tarot cards. The Sisters tell Jane that if she really wants answers, then rather than going up to the surface as everyone wants, she’ll have to go deeper, to the Well. 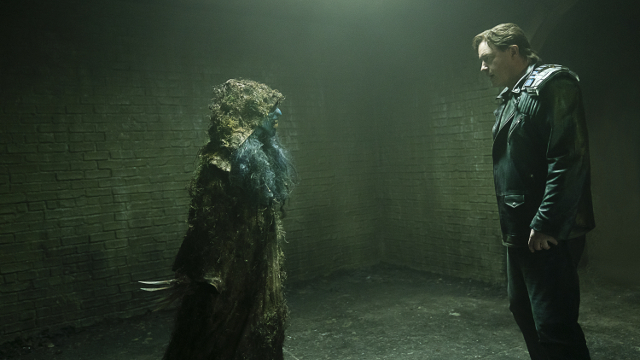 Jane’s final encounter on her path to the well is with a horrible guardian named Black Annis. Black Annis allows Jane to pass through a door, which takes Jane back to the memory of the night her split personalities were born when her father molested her. The lake from her previous memory is the picture the completed puzzle forms. Jane pleads with the memory of her younger self, named Kay Chance, to tell Jane what to do, but it is just a memory. It can’t help Jane as her father comes and takes her away. Cliff reverts to his human form while inside of Jane’s mind, which is how he continues to see himself. Cliff is arrested by Hammerhead and thrown in a jail cell until Penny finds him and helps Cliff escape. Penny says they have to stop Jane from reaching the Well, where Jane’s previous primary–Miranda–was sent by the Sisters and was destroyed. When the pair reach Black Annis, Penny turns away, leaving Cliff to face the guardian alone. Black Annis tells Cliff that no man may pass, to which Cliff responds by peeling away his flesh and revealing the robot beneath. Cliff says that he was a man before, but is a better person after being reborn as a robot, which is how he chooses to see himself now. Black Annis allows Cliff to pass. Cliff arrives at the Well to find Jane terrified by the abuse she has suffered from her father. Puzzle pieces stream upward from the Well, joining and taking the form of her father. Cliff tries to get Jane safely away, but is caught and ripped in half. Jane rages at the memory of her father, saying that he ruins everything he touches and she’s not going to let him ruin Cliff as well. Jane screams that she is not afraid of him anymore, and the image of her father fades. The two sit in silence on their return to the surface, where the negative spirit breaks the connection between them. Cliff asks about a mess on the floor of the lab, which Vic and Rita gloss over. Vic asks what happened. Cliff says that’s not his story to tell, but the important thing is that Jane’s back. 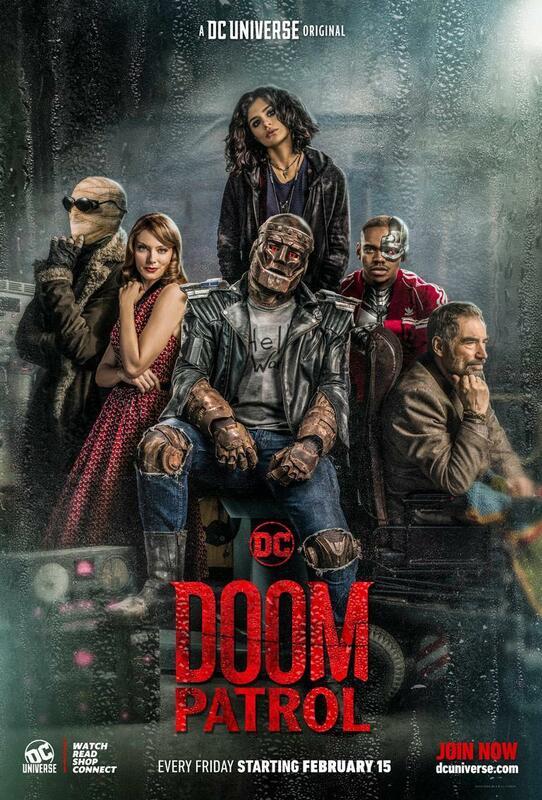 Share your thoughts on Doom Patrol Episode 9 in the comments! The post Doom Patrol Episode 9 Recap appeared first on ComingSoon.net.